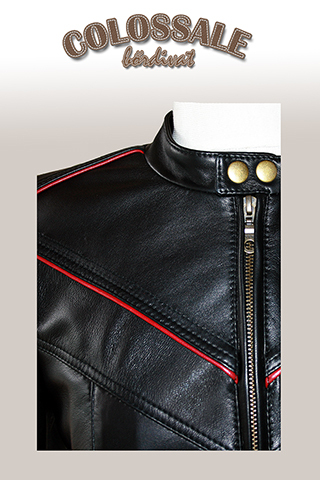 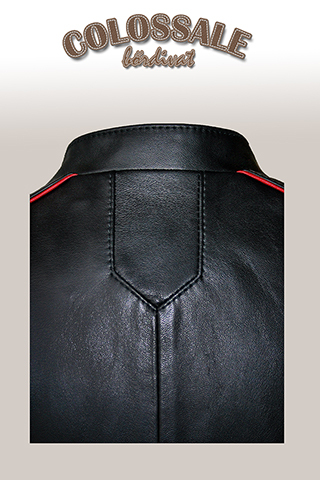 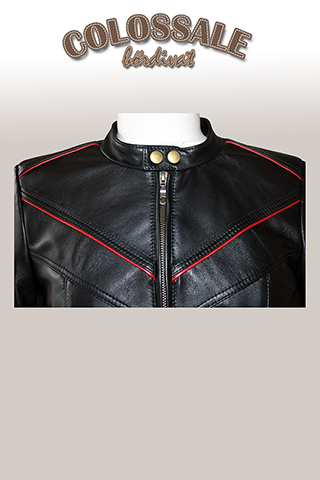 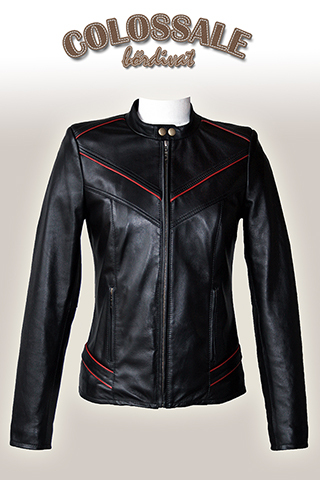 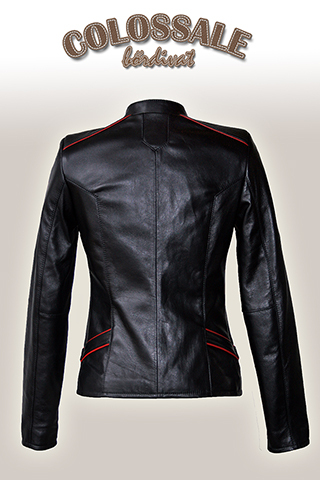 Modern, slim, standing collar leather jacket for woman with zipper pockets on the front, on the brest-line, shoulders and back with single, on both sides with double bordeaux leather trim decoration. 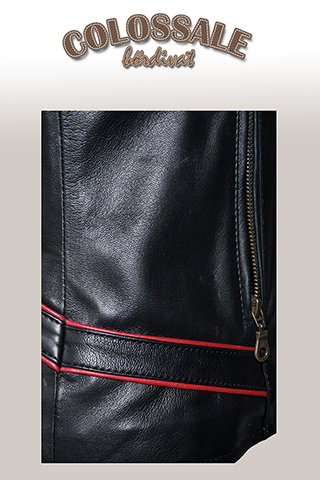 This decoration can be replaced by skin of other colors on your request. 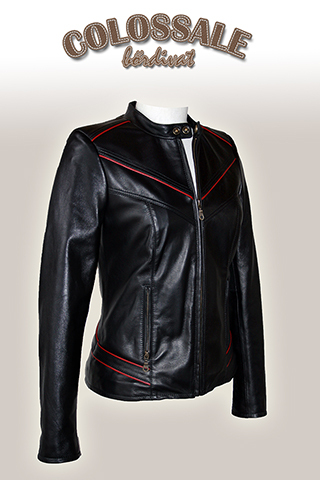 This slim model is an excellent choice for any age group.